If you were around Westerly, Rhode Island in the 1970s and 1980s you may remember an outstanding Sunday night jam at the Knickerbocker Café. Duke Robillard, founder of Roomful of Blues, would share the stage with unknowns and fan favorites to put on the weekly blues show. Unless you were local you probably never chance to experience it, but thankfully Westerly native (and producer) John Paul Gauthier put together an outstanding band to recreate some of what you missed. The result is the Knickerbocker All-Stars sophomore effort, Go Back Home to the Blues, on JP Cadillac Records. The personnel line-up for this disc was a bit different than their debut album, Open Mic at the Knick. 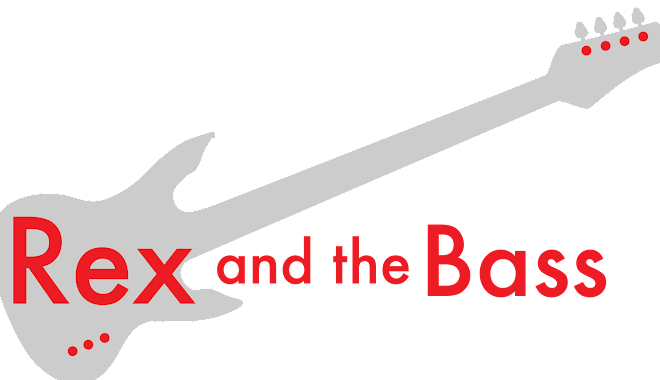 The core band included Mark Texeira on the drums, “Monster” Mike Welch on guitar, Brad Hallen on the bass, Al Copley on piano, and a horn section of Doc Chanonhouse, Doug James, “Sax” Gordon Beadle, and Rich Lataille. Frontman duties for the 13 tracks were split up amongst up amongst Willie J. Laws, Malford, Sugar Ray Norcia, Al Basile, and Brian Templeton. If you were putting together your own jump blues band you could not ask for a finer group of musicians! Most of the tracks on Go Back Home to the Blues are covers, and there are a also a handful of originals that fit in perfectly with that vintage Knickerbocker sound. With a run time of around 45 minutes none of them are terribly long, which means the focus is on the song and you will not hear any endless solos here. The set kicks off with Bobby Bland’s “36-22-36” with Sugar Ray behind the microphone and Copley killing it (in a good way) on the piano. Right away it is obvious that this is a band full of pros and the horns (including guest artist Carl Querfurth on trombone) are well arranged which really makes the mood. Norcia also takes the lead on an Al Basile original, “Brand New Fool,” and Chuck Willis’ “Take it Like a Man,” which is one of my favorite tracks on the disk thanks to some wonderful saxophone work. Brian Templeton takes on Roy Brown’s “Cadillac Baby”, and his voice is just perfect for this tune which is set over the awesome backline of Hallen’s double bass and Texeira’s drums. He also gets the nod on two Basile originals: “Go Back Home to the Blues,” which conjures up a little Cab Calloway, and “Annie Get Your Thing On,” a song that lets Monster Mike stretch out a bit on his guitar over a cool Latin beat. Al Basile was the music director for this project and he actually gets to sing and play his cornet on one of his original tunes, and “Don’t You Ever Get Tires of Being Right?” is the best of the bunch. It has a rollicking beat, witty lyrics, and super-tight musicianship, so there is pretty much nothing else to ask for! The fourth vocalist on the album is Willie J. Laws, and he ends up with some great songs to sing, too. These include guitar-intensive versions of Freddie King’s “You Know that You Love Me” and Guitar Slim’s “Something to Remember You By,” as well as the blistering rendition of Larry Davis’ “I Tried” that closes out the set. His vocals are hearty and fit perfectly into the mix, and I find it hard to get “He Was a Friend of Mine” out of my mind, as this ode to the wedding tackle is really out there! The Knick is not gone, and it has moved into the future as the Knickerbocker Music Center, a non-profit center that celebrates and furthers the blues (and other music) in the community by serving as a fine performance venue and music education center. Proceeds from this album go to the center, which is a certainly a good enough reason to buy a copy, but it is also a fine set of jump and urban blues, which makes it the bargain of the year. 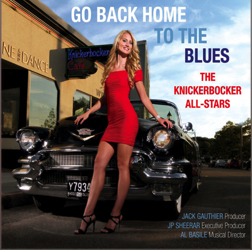 Pick up a copy of The Knickerbocker All-Stars’ Go Back Home to the Blues and see what you think!